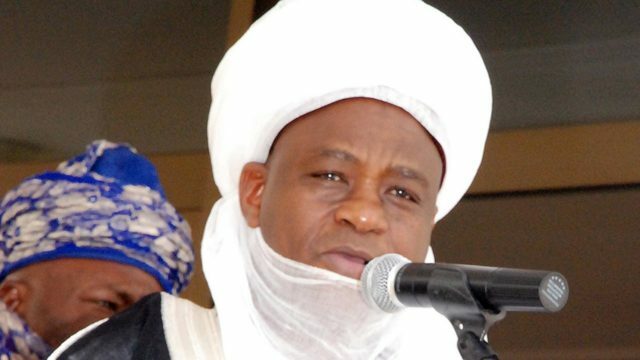 Sultan of Sokoto, Alhaji Muhammad Sa’ad Abubakar, yesterday condemned the wave of violence across the country, warning that the nation risked dire consequences unless the situation was curbed. The Sultan, who is also the President-General of the Nigeria Supreme Council for Islamic Affairs (NSCIA), spoke in Abuja at a summit on the integrity of the 2019 general elections held in partnership with the Nigeria Inter-Religious Council. “As Christians and Muslims, we know the sacredness of life. We cannot go about killing innocent people and claiming to be doing so in the name of religion. This is not right and must be condemned and removed from our communities. All of us must rise up against those people,” he said. The Oni of Ife, Oba Adeyeye Enitan Ogunwusi, who was also at the event, urged the country’s leaders to develop the youths. National President of the Christian Association of Nigeria (CAN), Rev. Samson Ayokunle urged Nigerians to choose people-oriented and selfless leaders. “That is what we need as stakeholders. There must be something connecting all of us in 2019 to pick the best Nigerian politician as our leader. Otherwise, we mortgage again our future,” he said. In a related development, the Arewa Youth Forum (AYF) in Kaduna called on President Muhammadu Buhari to tackle wanton killings in the country, noting that citizens were beginning to lose faith in the All Progressives Congress-led government. Meanwhile, Senator Dino Melaye yesterday reportedly escaped an alleged assassination plot. His spokesman, Gideon Ayodele, claimed operatives of the Nigeria Police and Special Anti-Robbery Squad (SARS) opened fire on the senator’s vehicle. The security men, numbering about 30, were also said to have stormed his home, shooting sporadically, causing residents to flee. Kogi State police spokesman, William Ayah, however, said his office was not aware of the incident. As at the time of filing the report, the whereabouts of the senator remained unknown. A source said Melaye had left his home at Ayetoro-Gbede to commission some projects when he ran into a roadblock allegedly set up by some policemen. Sensing danger, he was said to have turned back with his entourage, only to face a hail of bullets on getting to base. Prior to his arrival in Kogi on Wednesday, Melaye had reportedly received death threats by some thugs who vowed he would be killed if he stepped into the state. Also, early same day, unknown persons destroyed some of the over 145 constituency projects the senator was billed to commission. State Governor Yahaya Bello condemned the incidents. He warned politicians to stop arming thugs and desist from acts capable of breaching the peace. In a statement by his spokesman, Kingsley Fanwo, the governor urged security agencies to investigate the circumstances surrounding the incidents with a view to preventing recurrence. He also expressed resolve to stop political violence in the state. “As a government, we will not condone thuggery and violence. And anyone who crosses such red lines shall be reminded of the determination of the New Direction Government to stamp out insecurity in the state,” he said. Yahaya further directed the State Security Adviser, Navy Commander Jerry Omodara (rtd), to arrest the unrest in communities, urging local government administrators to maintain law and order in their territories.